The team at Podiatry Care are fully equipped to diagnose and treat your condition. Click to find out what your problem is. Staying at the forefront of education and treatment modalities has been an obsession at Podiatry Care. Find out how we can get you back on your feet..
With each clinic and Podiatrist having specific skills in dealing with your problem, click to find out who can assist you with your problem. The Podiatrists at My FootDr (formerly Podiatry Care) have been providing podiatry care to the people of Adelaide for over 20 years. Our Adelaide Podiatrists have a special interest in heel pain and foot pain solutions. At our podiatry clinics heel spurs, plantar fasciitis, plantar fasciosis, Sever’s disease, growing pains in children, aching feet, leg pain, shin splints, knee pain and many other sports injuries can all be treated successfully by your podiatrist with the right advice and expertise. 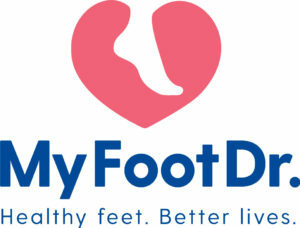 7 reasons why you should choose Podiatry Care? 1. OVER 100 years of EXPERIENCE. Podiatry Care practitioners have over 100 years of combined clinical experience in dealing with foot pain, leg pain and postural complaints. You’re in safe hands. 2. FIRST to introduce CAD CAM technology in orthotic production to South Australia. Podiatry Care’s founders were first to introduce CAD CAM technology in orthotic production to South Australia in 1997. 3. FIRST to introduce 3D Laser scanning and 3D laser orthotics to South Australia. Podiatry Care was first to introduce 3D laser scanning of feet in prescription orthotics replacing messy old plaster casts. 4. FIRST to receive accreditation in ESWT application. Podiatry Care is one of only a few podiatry clinics in South Australia which has a practitioner who has received specific ESWT (extracorporeal shock wave therapy) training and accreditation from ATRAD in Europe. 5. FIRST for fungal nail laser treatment. Podiatry Care was first to introduce a structured program for LASER treatment of fungal nails in South Australia. 6. UNIQUE heel pain treatment program for both adults and children. Podiatry Care has a unique heel pain treatment approach for both adults and heel pain in children. 7. RISK FREE Initial Consultations. We care about getting the best result possible for you. Following your initial consultation, if you are unhappy for any reason – you will be offered a second opinion free of charge. If you are still not happy with your choice to choose Podiatry Care, we will happily refund you any out of pocket expense for your initial consultation. by clicking on the “BOOK NOW” button. Understanding your condition, treatment, prognosis, and long term care requirements is important to us. So feel free to ask any of our podiatrists or podiatry assistants for information, either in person or via telephone. We will endeavour to educate you on all the issues important to you and liaise with your family doctor and all other practitioners that may be involved in your treatment. You are the most important person in our practice.